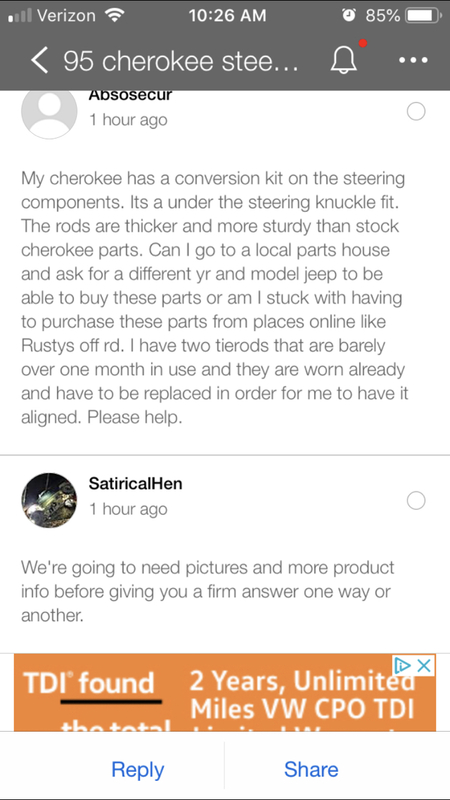 My cherokee has a conversion kit on the steering components. Its a under the steering knuckle fit. The rods are thicker and more sturdy than stock cherokee parts. 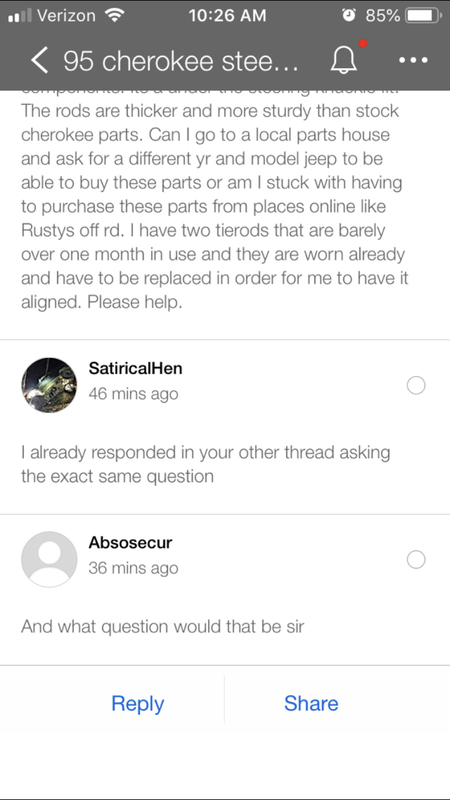 Can I go to a local parts house and ask for a different yr and model jeep to be able to buy these parts or am I stuck with having to purchase these parts from places online like Rusty’s off rd. I have two tierods that are barely over one month in use and they are worn already and have to be replaced in order for me to have it aligned. Please help. Fixed..you had double threads going. Steering wheel looseness in a 98 xj, adjust steering box? Power steering pump with or without Speed Proportional Steering?